Disclosure: This Review was made possible by iConnect and Pampers. I was provided compensation to facilitate this post, but all opinions are 100% mine. When I was little I wanted to be someone that could help people, and as I grew up my heart was set on being a nurse but things changed and that wasn't possible. Being a nurse means sacrificing your family and personal life most of the time and that is something to admire and be grateful for. That is why I am so excited to share with you an amazing program that Pampers is launching. There will be three finalist in each of the categories mentioned above. Each of the three finalist will receive a one-year membership to the Association of Women's Health, Obstetric and Neonatal Nurses (AWHONN), attendance at the 2016 AWHONN Convention, Procter and Gamble care packages, and more. 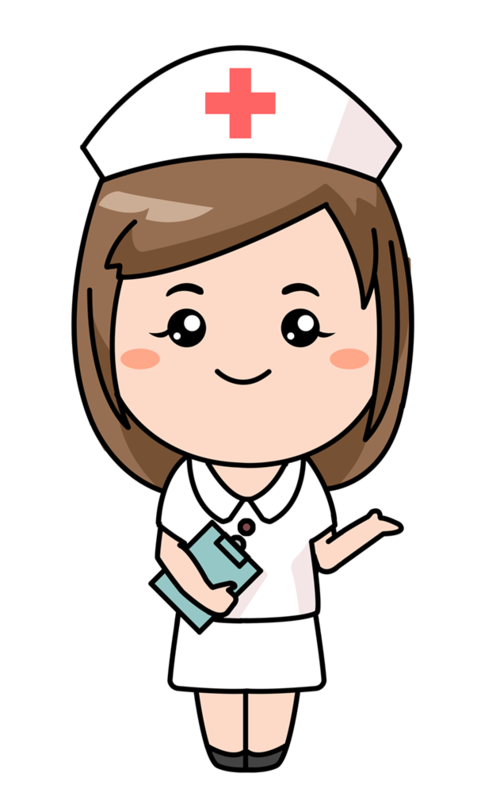 You can visit tongal.com/pampersnurses for full prizing details. But that's not all. In honor of these nurse winners, three Pampers Swaddlers scholarships will be made available to help nurses from underrepresented groups complete their studies toward a Master of Science in Nursing degree. 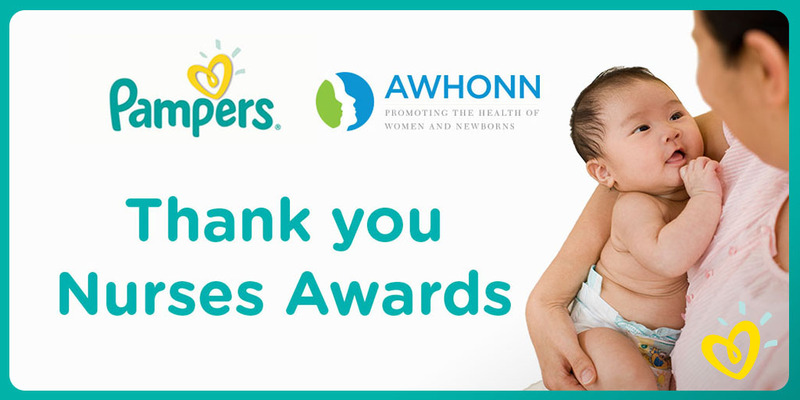 Pampers is inviting all of us parents to share our stories of nurses who helped make life #betterforbaby. So make sure to nominate a nurse, whether it was that nurse that helped console you in the waiting room when you were checking in your loved one or that nurse that was extra sweet to your loved one. The nomination period ends Dec 14, 2015 at 3pm Est. I know I will be nominating that nurse that helped console me when Valentina was born. She was born with jaundice and even though that's common with lots of newborn babies, it is very scary. Having to leave you baby under the lamp and worrying about her being by herself. My heart skipped a beat when I went in for a surprise visit and my nurse was holding Valentinas little hand. This mommy felt much better knowing that we were being taken care of so dearly. We were blessed with not one but many amazing nurses and to all of you we say Thank You for all of your hard work and sacrifices! Nov 19, 2015 from 8-9pm Central Standard Time. And as if that wasn't enough Pampers is giving one of my C'est La Vie readers the chance to win a $100 AMEX gift card and a pack of Swaddlers Pampers. 38 comments on "Help Honor Nurses and win $100 AMEX Gift Card from Pampers #ThankYouNurses"
A nurse who helped with my first baby was so caring and helpful, I still think of her all these years. That's a nice memory, especially when you are a first time mom! Thanks for entering :) and Good Luck! I would nominate the nurse that helped me during my recovery from a C Section when I had my daughter. She was very helpful and nice. It's always great when you have a sweet nurse to help with recovery :) Good luck! My nomination: My bff is honestly one of the most caring and talented nurses I know. She genuinely cares and puts her whole self into her work to ensure that her patients receive the quality of care and attention that they deserve. 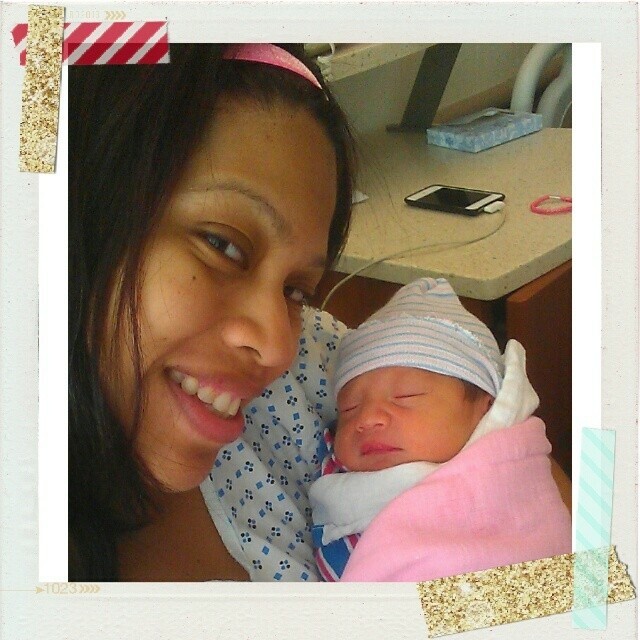 Additionally, my favorite nurse and BFF just had her first baby last week - a beautful baby boy. I would love to see her receive recognition for all of her hard work and selfless spirit! I'd nominate my friend of 25 years, Donna, who is a dedicated NICU nurse. I would nominate several nurses in my life, my sister, my aunt, my cousins, all of which are awesome nurses in my life. Also I would thank the nurse who helped with my emergency c-section delivery. I'd nominate my grandsons nurses from the nicu unit. They were kind, informative and reassuring. I would nominate my daughters aunt who is a nurse, she stayed past her shift to be with me in the OR during an unplanned C-section. I would nominate Karen, who was my nurse when I had surgery in 1st grade. She gave me stickers everytime I got out of my hospital bed and walked down the hallway. I created a sticker book out of all my stickers she gave me! I would nominate my aunt Jen. She always goes above and beyond her job to help others. My would nominate my friends husband who is a great nurse. I would nominate my SIL! I would nominate one of my husband's nurses when he was in the hospital. She had her young daughter make him cards. I would nominate the nurse that took care of my dad when he had cancer. I'd nominate the nurse Margo who helped deliver my daughter. I would nominate the nurse who comforted me when my daughter was in the hospital. I would nominate RN Linda Martinez she has a great bedside manner! A nurse who helped my husband after a surgery. I Would Nominate The Nurse Who Cared For My Sister After Her C-Section. She Was So Kind And Caring! I already nominated my cousin who NICU nurse and just amazing! I would nominate my bff, who's a great nurse! I would nominate the OB nurse I had with my second son. She let me sleep between feedings. She was a life saver!! I would nominate my sister who is a labor and delivery room nurse. I would nominate the lovely nurse Brittany who helped us during my little baby girls first ever hospitalization. Not only did she go the extra mile to make sure our 8 month old baby girl was comfortable but made sure she stayed smiling during the whole ordeal with tests that were being done. It was a very scary time for my husband & I, being first time parents but she surely made us feel at ease seeing how she went the extra mile to make sure my little one stayed smiling! I would nominate the nurse that had to end up delivering my baby because she came so fast the doctor couldn't get there in time! She did excellent and was so scared since never delivered a baby before just only watched it be done!! Shoulders on the medium scrubs were 1/3 the way down my upper arms and the neck opening followed. A free return and exchange for womens scrub pants that fits great within a couple of days made me very happy.